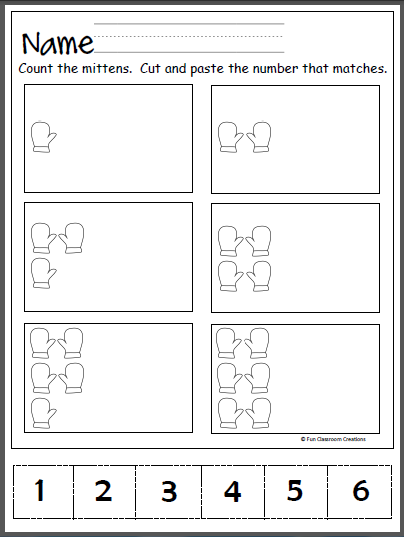 Free winter mitten number practice page for the numbers 1 to 6. 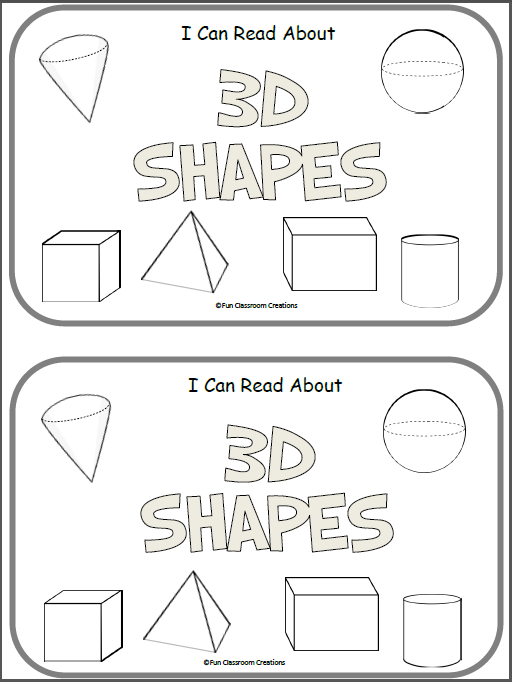 Great Pre-K and Kindergarten math activity. 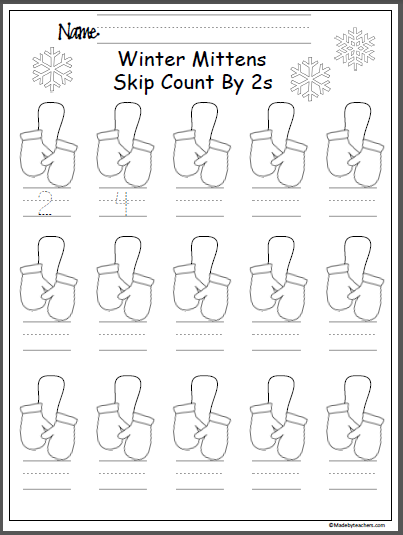 Free mitten skip count by 2s worksheet. 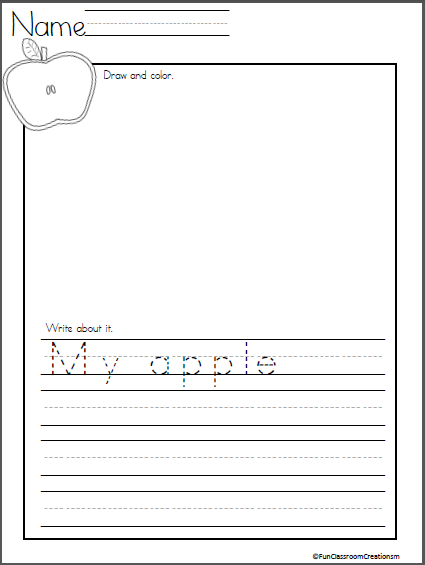 Fun and easy math activity for the winter. Just print and go.